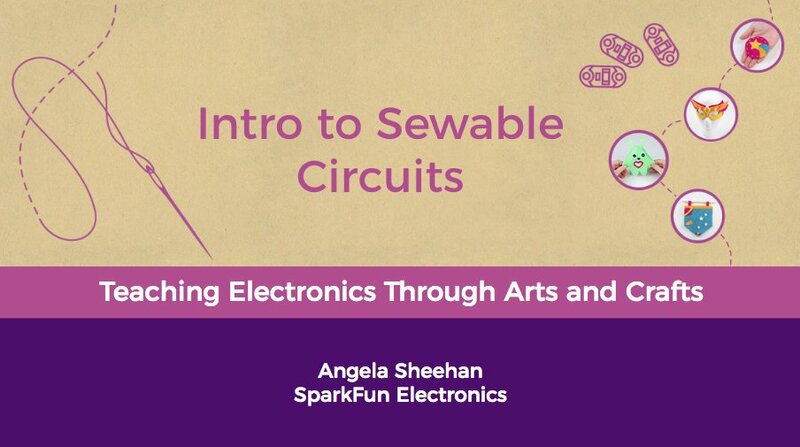 Explore ways to teach electronics and programming in a craft context using low cost materials such as cardboard, paper, and felt to create interactive art projects with tools including micro:bit, Chibitronics circuit stickers, and LilyPad sewable circuits. Open source resources, activities, and examples of programs utilizing these mediums for success will be discussed. Participants will leave with three sample projects built during the session to expand and remix in their own practice. Explore ways to inspire students with STEAM activities focusing on combining crafting and technology. We’ll examine alternative ways to teach introductory electronics and programming using LilyMini sewable electronics boards. This prewired circuit will be programmed then snapped apart and implemented into an interactive e-textile project using conductive thread.